Monday was our wrap-up of our Homeschool Co-op. You could say our co-op has two themes. One would be coffee, the other chocolate. When the two combine, it's even better. When it's time to celebrate our hard working volunteer teachers AKA moms, they are almost always a part of the gift. 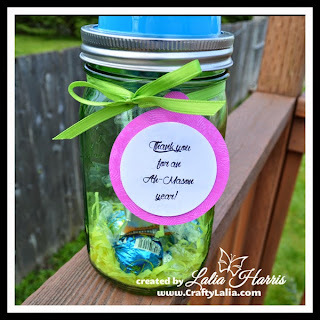 This year we gave a Mason Jar Sipper/Straw filled with chocolate & Starbucks Via. I love to make them cute so I added a tag that says "Thank you for an Ah-Mason year." It really was an amazing year. 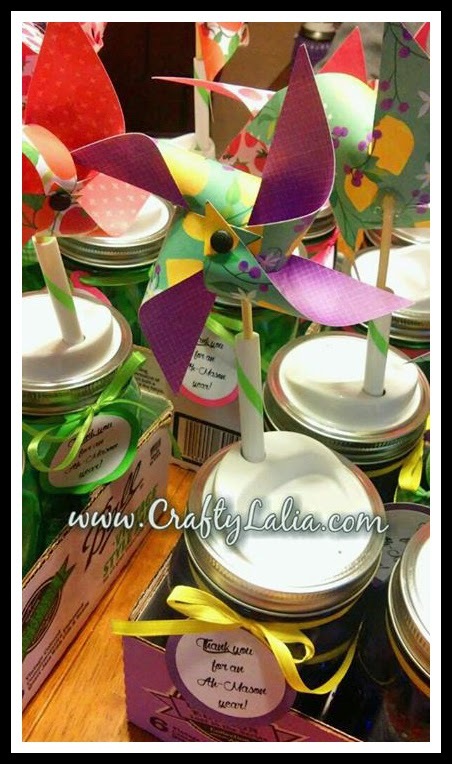 We have a dedicated group of moms who come up with creative classes for all ages. We lead "elective" classes that support, not replace our regular home school curriculum. It's a fun outlet for the kids AND the moms. We support and encourage one another and love it as much as the kids do. I printed the circle on regular paper and punched it with my handy 2" circle punch by Fiskars. This is my most used punch that I own. Here's the printable. The font is Wolf in the City. 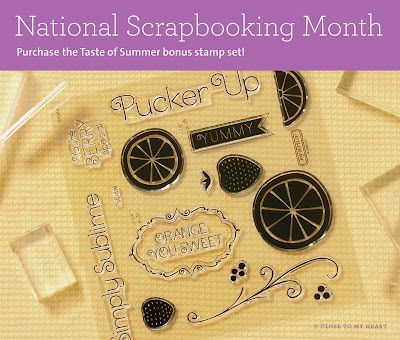 The pinwheel features the new Taste of Summer papers that are only available May 2015, during National Scrapbooking Month. Aren't they luscious? There's 6 different double sided papers. I love the lemon paper with the purple on the back. 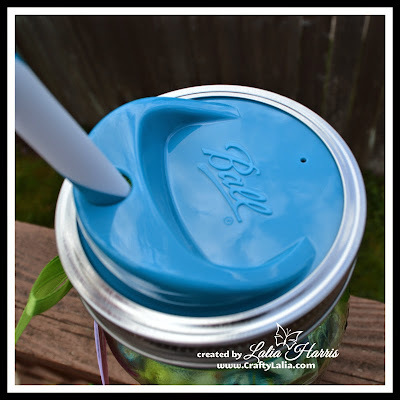 It's a Ball quart jar and the Ball Straw and Sipper. They are primarily sold as white but this year they've introduced some colorful lids. Here's the supplies we used. I say "we" because the leadership team met at my house and together we crafted and assembled the 3 dozen jars. It took less than an hour to do the work and another couple hours to laugh, giggle and eat chocolate before going home. We had some of the Sea Salt Milk Chocolate Truffles, Dark Chocolate Truffles, and ones with White Chocolate. The Peanut Butter ones are pretty amazing too. Are you hungry yet? I had to stop and fix lunch before finishing this post. 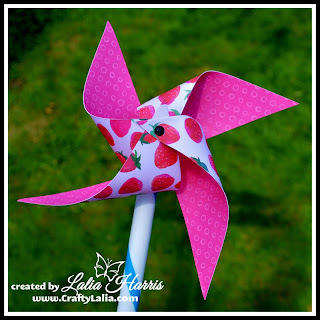 Here's a template for the pinwheel--It's from the Macaroni kid website. I hot glued a BBQ skewer to the back. I used a pair of garden pruners to snip the point off the skewer and then buried the snipped end in the hot glue. They don't spin, but they're still darling. Taste of Summer is only available in May 2015 from Close to My Heart. I've went back and labeled my teacher gift posts. You can find all of them here. How about a birthday sampler to celebrate each of your family members? You may have seen it on my Facebook Page a couple months ago. It may be "old" but I still have kits available! 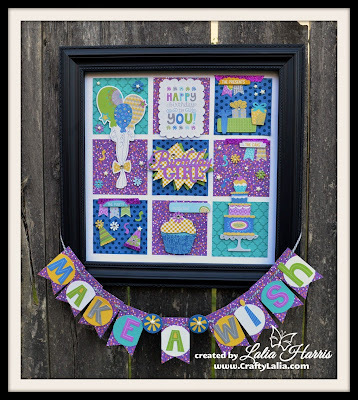 I used the Confetti Wishes paper & Complements for this sampler. 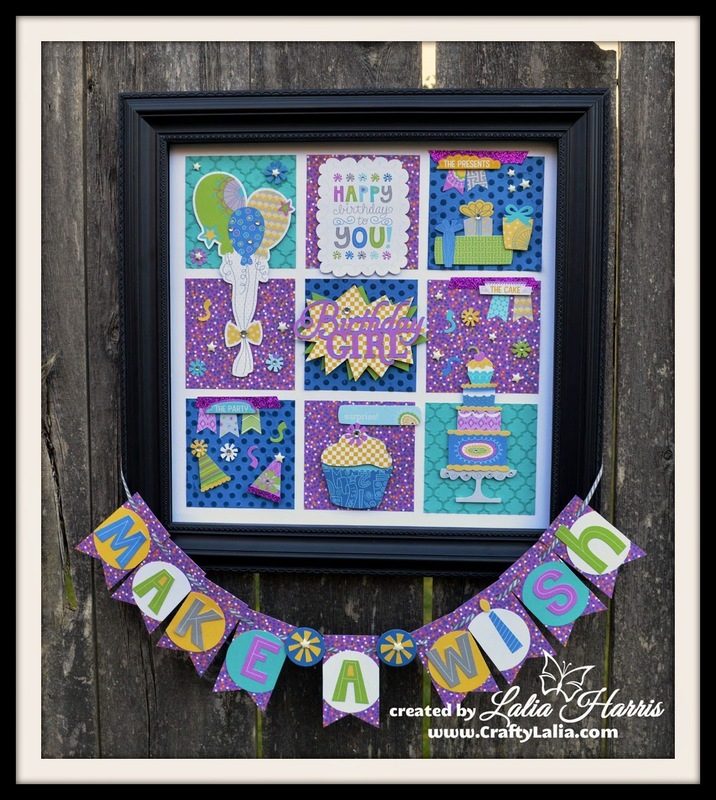 The "Make A Wish" Scrapbook title was too big for the sampler so I created it as a banner. This banner was inspired by my CTMH upline Michele Rowley's scrapbook layout. The center square can say "Birthday Boy" or "Birthday Girl." I used our Hook & Loop Dots so they could be interchanged on the frame without causing any damage. They were created using the Artiste Cricut Cartridge. I had plenty of stickers left over and created 4 cards with most of the remaining complements. If you look at these cards, you'll notice that they're created primarily with strips of paper. They really do use up the leftover scraps. You can order a pre-cut kit for $25. It will include a full color guide sent by email. If you'd rather order with cash or check, click here to contact me. My kits are easy to ship. 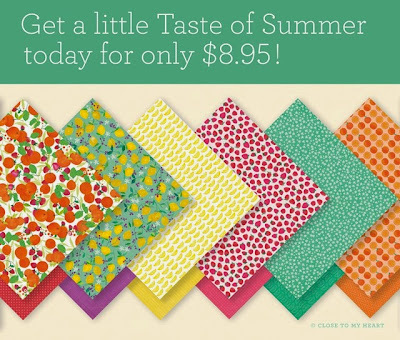 $6 covers shipping on any number of kits you purchase. Kits can only be shipped within the United States Order any time between now and July 2015. Orders for kits will ship within 2 weeks of your order. Check out the latest installment of my Seasonal Sampler series! Last night I donated one of these samplers to an Operation Smile auction and it raised $110 towards the cost of an operation to correct cleft pallet or cleft lip. Each surgery only costs $240 through this amazing organization. I've never been to a CTMH event that has hosted an Operation Smile auction before. It was a bit intimidating saying "I'll donate," not knowing if this is the type of item that would sell. I was wondering if I'd have to bid on it myself just to get back the cost of the frame. No bidding for me. I was too busy hanging on to my seat as the bidding hit $80+ in just a few seconds. Thank you Kelley for your generosity and your final bid! It was jaw dropping, inspiring and I was a bit teary eyed. I'll be writing more about Operation Smile in future posts. 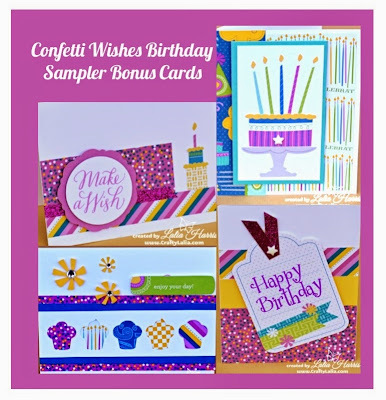 I want to thank Michele Rowley, my upline, mentor and brainchild of these seasonal samplers. 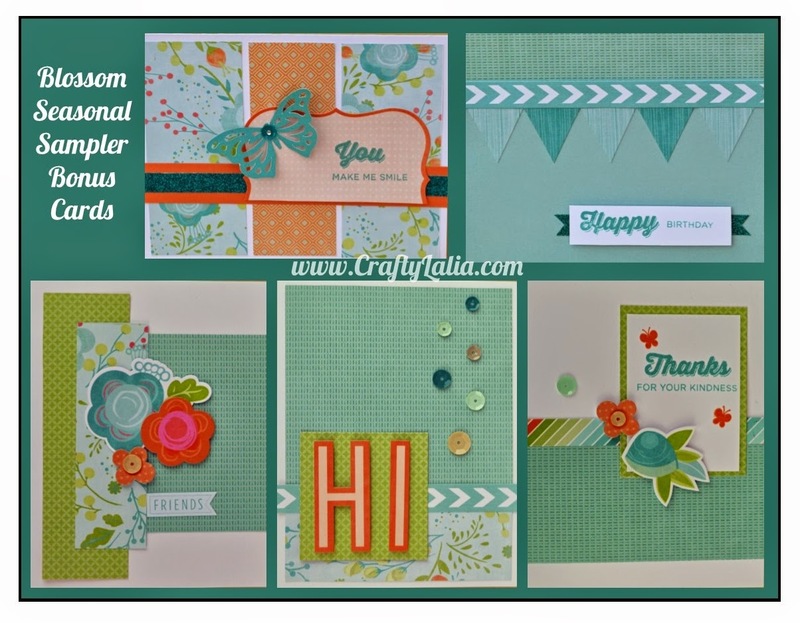 We've been tag teaming on creating these samplers. This one was her "baby." I was going to sit this month out. I think she knew exactly what she was doing when she send me a sneak peek of her Blossom Sampler. It was gorgeous. I ran with the idea, added that beautiful banner and butterfly and here it is! Thank you Michele for your inspiration for this year and giving me the nudge to design this one. Here's the FIVE cards. I've never had so many stickers leftover. We'll be stamping 3 of the cards using the new stamp set Finding the Words D1646. Even the cute little butterflies on the last card are part of that set. If you'd like to order a pre-cut kit, they are $20. Shipping for as many kits as you like is $6. I'll cover any additional shipping. 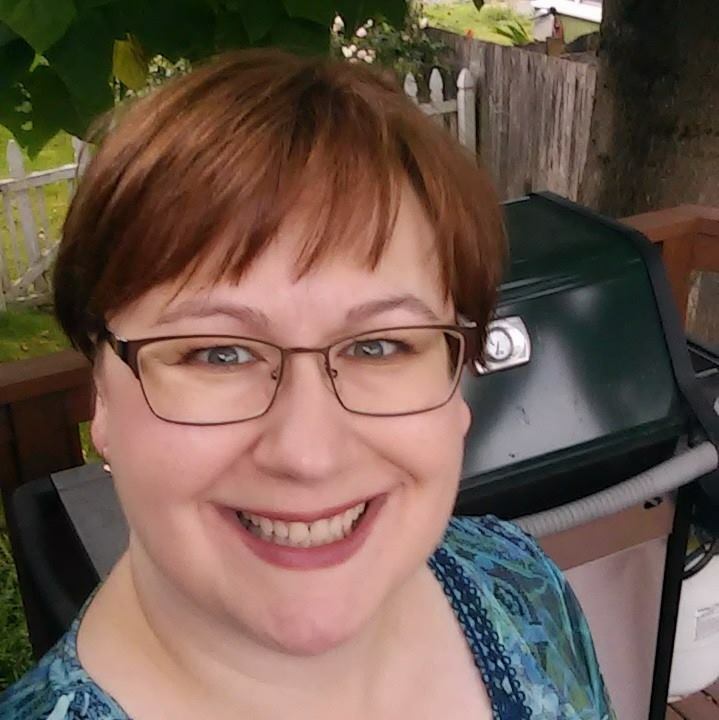 My in-home workshop is Saturday, May 16, 2015 at 7pm or you can order a kit to-go. I have full color instructions on how to create this kit. If you're a DIYer, you can create this kit on your own. Just order the $20 from my website and I'll send you the cutting instructions including a Cricut Explore Cricut Design Space link. You'll have tons of paper left over after you've created this project. You will need a scrap of Whisper and a 4x12 strip of Pear. They aren't included in the paper pack. You can order a pre-cut kit for $20. It will include a full color guide sent by email.